In keeping with my goal of celebrating more holidays, I'm trying to put a little more Valentine's Day decor around the house. I wanted to create something fun & colorful for our entry way. We have a cube storage shelf for keys, my purse & other things & when we moved in to our home, my mother-in-law gave us this pretty mirror that we hung by our front door. Since we use this area every day, it's the perfect plea to add a little holiday decor. 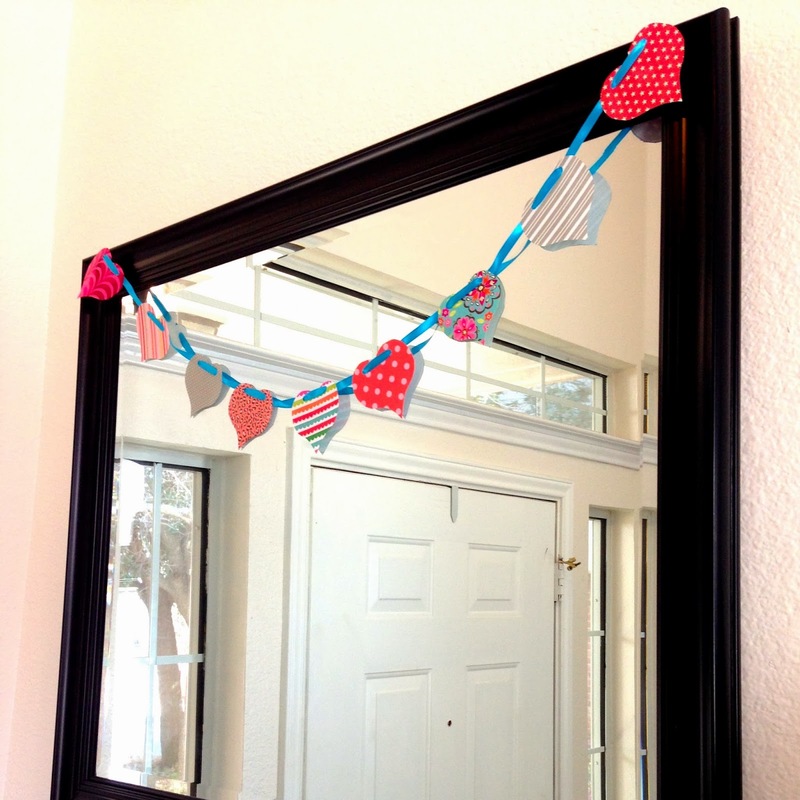 I've always thought that this mirror would be the perfect spot for holiday garlands, but never have made any. Well....after realizing that the hardest part of making a garland is picking out the paper, I'm going to be making a lot more. They're so quick & easy! Before starting, I measured my mirror, which came to about 3 feet wide. 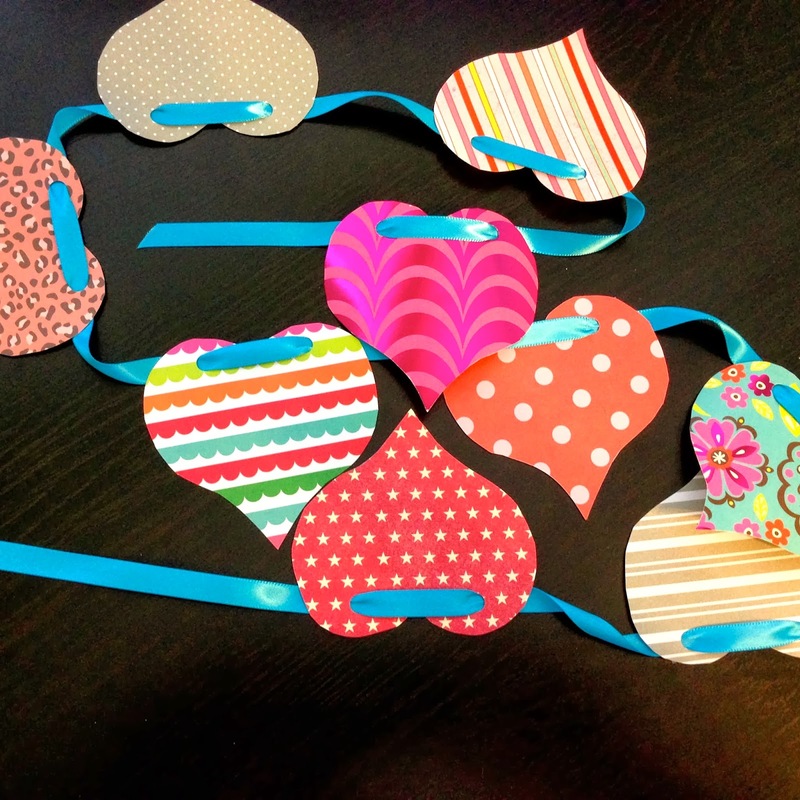 Using that measurement, I figured out I needed about 9 hearts for the garland & 4 feet of ribbon, so I would have space in between the hearts. Of course, you'll need to measure your space & adjust according where you're hanging the garland in & the size of your template. Start by tracing your hearts onto your printed paper & cutting them out. I used a cookie cutter as a template. Super easy & I already had it! 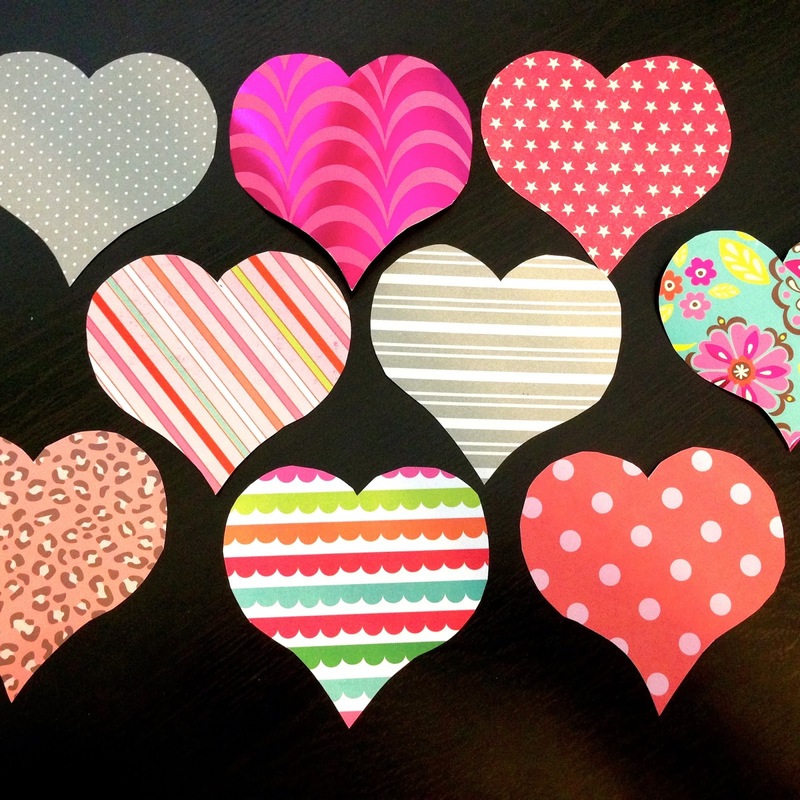 Then, take the single hole punch & make two holes as even as you can on the top third of the hearts. Once all the hearts are cut out & punched, cut your ribbon. Weave the ribbon through the punched holes, leaving an inch or so in between each heart. 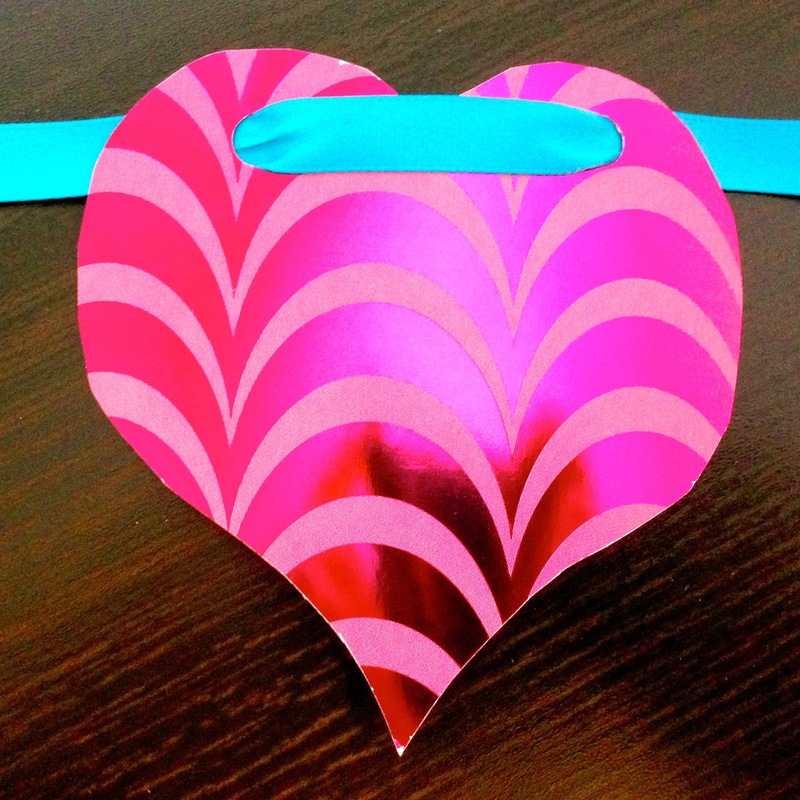 Secure the ribbon by placing a small piece of tape on the back of each heart, making sure you secure the ribbon to each side of the heart. This is what it'll look like from the front. Fun, right? Secure all your hearts & you're ready to hang that bad boy! Since these will not be hanging for a long time, I used a couple of pieces of painters tape to attach the garland to the back of the mirror. Depending on where you're hanging your garland, you could use thumb tacks, poster putty or tape.